Kitchen cabinets go through a lot of wear and tear, specifically the doors and drawer fronts. Cabinets may not necessarily go through much abuse. That being said, if it’s not absolutely necessary, it’s best to leave the cabinets themselves alone. Cabinet refacing will also avoid having to completely gut your kitchen, making a huge inconvenience for you and your family. This process is also easier when you’re doing your own renovations. What tasks you should undertake before the refacing. Know if you have to reface or replace. Sometimes the remodel is as simple as changing hinges. If your cabinets have only a few minor scratches and are still very sturdy, you only need to reface them. With older cabinets that have immense wear and tear, replacing the faces entirely might be the best way to go. Determine the cost. The best way to determine cost is by word of mouth. If a family or friend has already done a refacing, learn what their process was and decide if that’s the right way to go for your kitchen. If you’re doing the renovation on your own, it’s good to visit your local home renovations stores, or research online for price comparisons on material. Develop a design plan. This is the time to be creative. Research websites that have cabinet refacing images. Sometimes before and after images help. 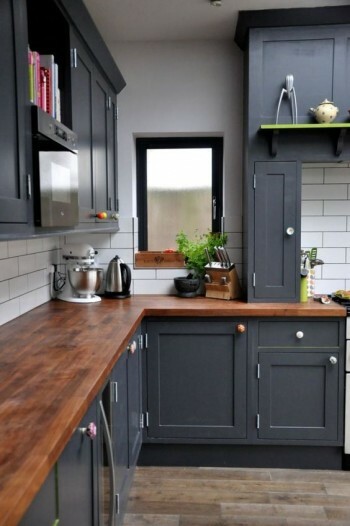 Go to Pinterest for some inspiration and see which is the best fit for your own kitchen. Another great way to enhance the use of your cabinets and drawers is to re-purpose them. Create a spice rack from an old junk drawer. Add pot holder racks within your lower cabinets for a cleaner look and easy access to your cookware. Consider going high-tech by changing your hinges to modern ones that prevent slamming. Upgrades are endless. When considering renovating a kitchen, most people stress about the cost. However, with cabinet refacing, you can take old, dingy, and beat up cabinets and give them a 100% transformed appearance.